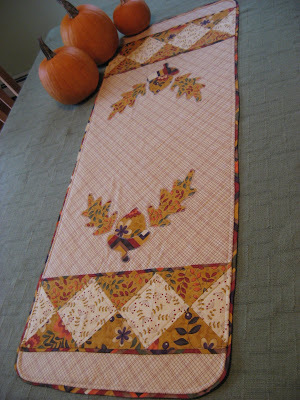 Hooked on Needles: Plus Quilt ~ All Finished! 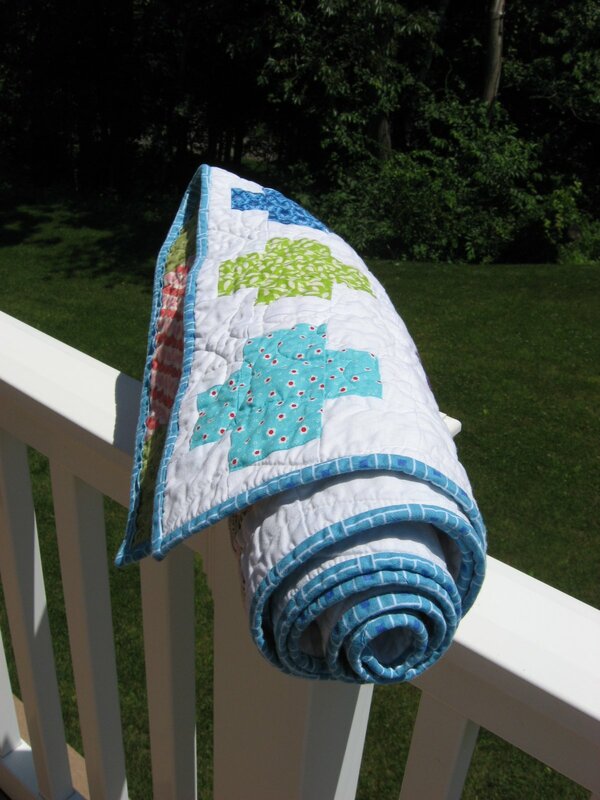 Those of you who follow me on Facebook may have seen the first pictures I took of this quilt and its reverse twin hanging from my deck. I discovered that a bright sunny day is not the best for taking pictures of quilts fresh from the dryer! Too many crinkles and too many odd shadows! So these pictures were taken later in the day when the sun was not quite so high. This quilt pattern was fun to put together, and a great way to use a few of my colorful charms from the swaps I've been enjoying recently. 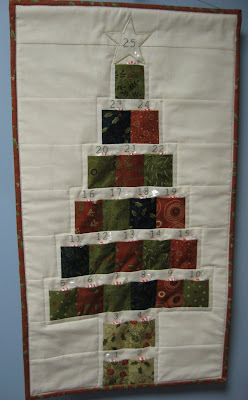 I had one leftover block that got pieced into the back. 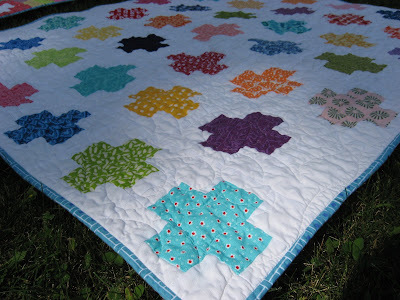 Piecing a quilt back like this is a great way to use up odd big scraps of fabric from other projects, making the quilt reversible at the same time! I just can't resist a good binding shot! Next up will be this quilt's reverse twin and then another fun project that would also be great for using up swap charms, so stay tuned! 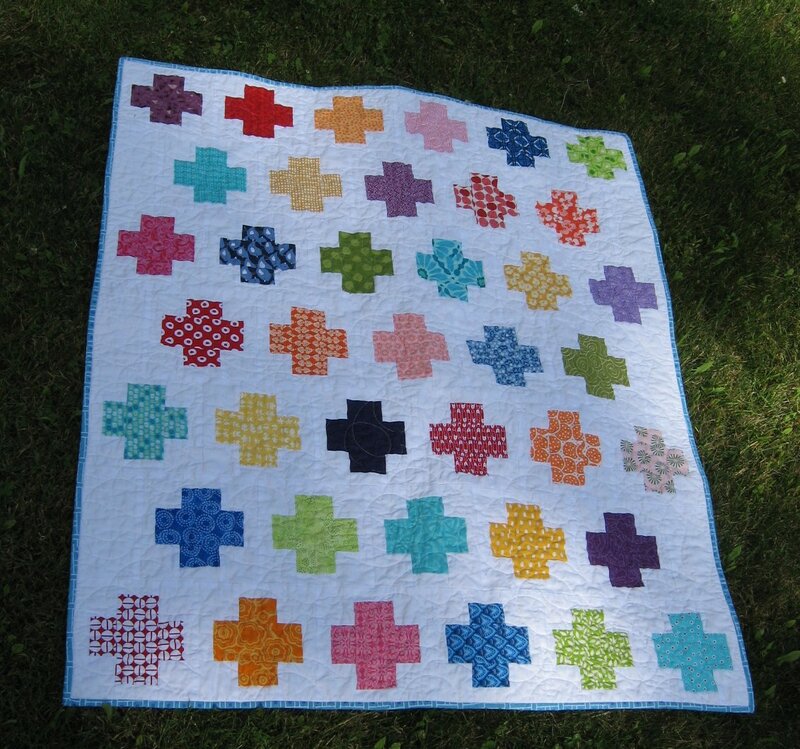 Congrats on the quilt finish:) It sure is a beauty! 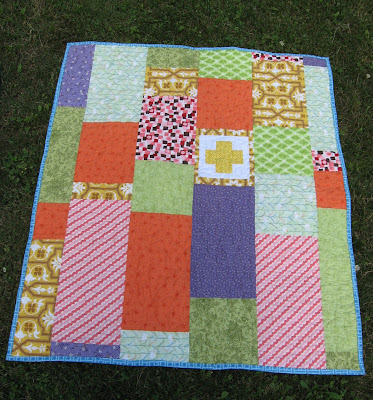 Lovely quilt - as usual, Mary Grace, you amaze me!